The Emory Wheel asked each candidate to submit a 150-word platform. Platforms that exceeded the allotted 150 words were cut off at the word limit. The voting period for SGA, GSGA, CC, RHA, BBA positions begins March 27 at 8 p.m. and closes March 30 at 8 p.m. The Wheel hosted the Wheel Debates on March 22, which can be viewed on Facebook. Read the article recapping the debates here. My name is Elias Neibart, and I am a Sophomore at Emory University currently serving as the Attorney General of the Student Government Association (SGA). My experience as Attorney General has offered me valuable insight into the inner workings of SGA; I have observed the amazing and productive things student government can implement, but I have also observed certain aspects of SGA that can and must be improved. My earnest desire to enhance the student experience and my determination to better our community is why I am running to be your next President. As the President of the 52nd, Student Government Association, I hope to recommit SGA to our primary goal and purpose by creating, cultivating, and leading a student government dedicated to empowering student groups, making our campus safer, more secure, and easier to navigate, and inviting students to take part in administrative decisions and initiatives. My name is Dwight Ma and I am currently serving as the Vice President of International Student Experience in Emory SGA. I having served since freshman year as the freshman senator and the Vice President at the Oxford College SGA in sophomore year, respectively. My cross-campus SGA experience educated me on some of the pressing issues and concerns our undergraduates have and motivated me to make changes to benefit the student body. As the President of the next SGA, I will dedicate myself to enhance residence life experience, empower diverse student organizations, and create an SGA that is accessible and thus accountable to our student body while devoting sufficient resource to connect the main campus with Oxford College. With a great passion to serve our undergraduates, I am running to be the next President of the SGA. You can also find my full platform on www.dwightma.com. Due to the SGA split, the next SGA president needs to have an understanding of the past and a clear vision of the future. But ultimately, it centers around you – around us – our time here. What do we want our legacy to be? Since I began serving on SGA, Student Concerns have been my main focus and they have informed all my actions. I created two SGA organs for the sole purpose of hearing student concerns and addressing them, one at Oxford and one at Emory. I promise to continue this if I am given the opportunity to be the next SGA president. I am asking you to grant me this opportunity. My name is John Priddy and I am a junior at Emory University. Throughout my time at Emory, I have served as a Diversity Fellow in the Office of Admission, a Resident Advisor, an Executive Board Member of the Mock Trial Team, and several other engagements. These involvements have informed my Emory experience and demonstrate my commitment to serving the Emory student body. As Executive Vice President, I will enhance the student experience for all students across all campuses, increase the transparency and connectedness of SGA, and demand attention to the diverse concerns of Emory students. I will combine my deep involvement across Emory with my passion for initiating and leading change. I am confident that I will bring a new voice to SGA, one that is both directly familiar with wide swaths of the Emory community, and will work hard to implement tangible and realistic initiatives on our campus. My name is Kylee Borger and I am a master’s student at Rollins School of Public Health. This year, I served as one of Rollins representatives on the GSGA. In that role, I successfully worked with SGA and Dining Services to implement mobile ordering and pick-up for on-campus dining (roll-out summer 2018). I am committed to transparency and will ensure that any graduate student will have access and opportunity to bring any issue to a member of the GSGA executive board during regular office hours. Building off of this year’s success, I will continue to promote cross-divisional partnerships and increase representation of divisions on the GSGA Executive Board with no more than 2 or 3 members from any one division. Unite graduate students through providing opportunities for increased social interaction, engaging the Atlanta community, and utilizing our collective scale and interests to establish a multidisciplinary speaker series. Make GSGA a more effective organization through increasing financial transparency and obtaining actionable data about our student body. Elevate GSGA’s platform and presence by holding semi-annual Town Halls with administrators and maximizing visibility among students through the ways we connect and engage. My name is Sydney Kaplan, and I am a second-year law student. My campaign is based on four key tenants—leadership, experience, accountability, and dedication. Before law school, I worked at a lobbying organization in Washington, D.C., where I taught students how to get involved in the political process. I also held numerous Student Government and other leadership positions as an undergraduate at the University of Florida. At Emory, I currently serve in the GSGA Legislature and have taken a leading role in the Governance Committee. If elected, I know these past experiences will enable me to effectively work on behalf of all graduate students and accomplish my platform objectives. I will work to ensure that each graduate student has access to: 100 pages of free printing each semester, a voice at all levels of government through lobbying efforts, the greater graduate student community, increased transportation options, and graduate housing. I am Elyse Cooke and I’m running for the position of Executive Vice President of GSGA. As the Executive Vice President, I will serve the president, executive board, legislature, and the graduate student body. I understand that my role consists of executing critical administrative duties and executing the vision of GSGA. In doing so, I will bring fresh perspective to promote the mission of uniting and serving the graduate student body. I will create space for authentic conversations and foster relationships between the schools themselves; having this open dialogue will allow for deep reflection about the graduate student experience. I will bring my leadership skills and my gifts of active listening and compassion to this position. With strong leadership and vision, GSGA will be known for uniting students and enhancing the graduate student experience, providing them with resources, time, and space to grow in their studies and in their communities. 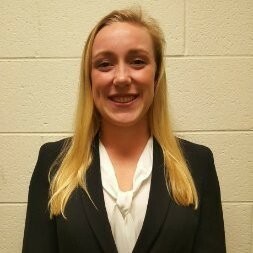 My name is Tiffany Haas, and I am a junior at Emory currently serving as a Junior Legislator for College Council (CC). As a legislator, Orientation Leader, and Tour Guide, I’ve gained perspective and experience that best enables me to represent the interests of the College student body. My initiatives include expanding access to menstrual products across campus, increasing student giving, and leading Emory Thanks, an effort to recognize Emory donors and increase affinity for Emory. Through my experience, I’ve learned the importance of empowering students and making CC work for the student body. As president, I plan on simplifying rules and processes that create barriers to student organizing via club charters and CC’s Monetary policy. I believe my vision for CC – through clarity and courageous inquiry – will give students the means to pursue their own initiatives and support collaboration that maximizes our potential as a community. Coming from Oxford College, I have worked with the rural community through the Pierce Service Corps. I became a Volunteer Coordinator to better advocate for the children and families I worked with. If elected, I will effectively utilize our funds and policies to better represent and empower underrepresented groups. As a SAPA advocate, I seek to increase the safety of students against sexual violence. I plan to increase the transparency between students and professors, College Council, and work to unify the Oxford and Atlanta campus. With the experience of an Oxford SGA Attorney General, I will increase current knowledge of the underrepresented groups on campus. I plan to create an initiative to create a curriculum for the academic year of 2018-19 that includes monthly diversity trainings that focus on privilege, institutional racism, and bias/discrimination. My name is Radhika Kadakia and I’m running for College Council President. My initiatives are a reflection of my time on the 62nd CC, serving as the VP of Administration. Specifically, working with many student leaders and organizations, I noticed the changes that need to be made to better serve College students. I will be implementing revised chartering policies that encompass the needs of diverse organizations. These revised policies will encourage diversity through new classifications that give students an opportunity to fully celebrate their identities and unique missions. In order to increase College Council’s outreach, I will institutionalize Town Halls and effectively distribute our resources. Partnering with college administration, Emory dining, and local restaurants, I will expand sustainability initiatives and help provide more dining options to students, like using a swipe for a standard meal at Cox. These are a few of my initiatives for the upcoming year. Please vote! My vice-presidency platform is defined by: Engagement, Empowerment, and Advocacy. I plan on engaging the student body by reforming how College Council interacts with the student body and ensuring it is welcoming and concerned with the concerns of the College. I aim at empowering students by not only educating students about the monetary policy that governs their organizations but reforming the policy itself to ensure it best fits the everchanging needs of students and organizations. Finally, I will advocate for all students, especially those who would otherwise be left to the wayside. College Council is deeply committed to inclusivity and celebrating the diversity of the students that comprise the College. Through bold new programming, as well as reforming current policies and initiatives, I will work my absolute hardest to make that goal a reality. Voting is March 27-30, and I do hope you choose me to represent you! My name is Hannah Mayblum, and I am currently a junior at Emory’s Goizueta Business School. I am hoping to serve as the next BBA Council President for the 2018-2019 school year. With my previous experience serving on the Council as VP of Marketing, I feel prepared and determined to continue bettering students experience at Goizueta and the greater Emory community. My goals are to build a stronger sense of community by listening to student voices and aiding high student engagement in events and activities. Due to my strong communication and event planning skills, love for the b-school, and determination, I am confident that I will be able to provide Goizueta students with the best experience for the upcoming school year. My name is Ashley Daniels and I am a Junior hoping to be the next BBA Council President. I am currently the VP of Club on BBA Council and feel that I have gained vital experience that will lend itself to a successful presidential term. This past year I lead the creation of the Goizueta Creed, restructuring of Goizueta clubs, and the establishment of the BBA/MBA Mentorship program. I truly adore my BBA experience and I hope that I can use the skills I have developed through these endeavors to share that passion with my fellow students. I hope to be responsive and advocate for BBAs while focusing on increasing opportunities for student involvement, establishing a legacy of care at Goizueta, and creating a welcoming community where all students feel they belong. In sum, I want to continue adding to the already incredible Goizueta BBA program in ways that make other students as proud of Goizueta as I am. My name is Jay Krishnaswamy and I am running for President of BBA Council. With my past experience serving on BBA Council as well as other leadership roles at Goizueta, I believe I can enact change throughout Goizueta. If elected my primary focus will be on expanding equal opportunities to all of my Goizueta peers. Whether you are a domestic or international student, a Spring or Fall admit, from Emory or Oxford College, or even if you have a class that gets out at 5:15 during Kegs – the opportunities provided by BBA Council should be the same for everyone. I hope to accomplish expanded equal opportunity through initiatives such as the Goizueta Dream Fund, pre-Kegs registration, and H-1B visa networking night. By taking these first steps I truly believe that we can build on the success of Council this past year and unleash the potential of everyone at Goizueta. My name is Jake Gruber, and I am a junior hoping to serve as the next president of the BBA Council. Having served on multiple executive boards including, the Student Alumni Board and Interfraternity Council, I am prepared and extremely motivated to implement change to the BBA program in terms of building a definitive cohesive community, encouraging student engagement, and defining Goizueta’s culture. I want to promote stronger student programming, greater inclusion and support for newly admitted students and alumni, and stress the importance of collaboration between student organizations, career management, and faculty. As a goal-oriented, innovative, and driven leader, I believe that I can facilitate the creation of a BBA experience that will be unforgettable. By listening to student voices, learning from past programs, and encouraging constructive relationships, the BBA experience will continue to grow and flourish. As RHA President, I want to increase the number of Dooley’s Bowl events and incentivize them with giveaways to increase participation in campus-wide events. School spirit is very important to me, and will be top-of-mind in the planning of every RHA event. Every year, school spirit starts off high with Songfest, but I have noticed that it tends to taper off afterwards. By increasing engagement in Dooley’s Bowls events through additional events and prizes, I believe that we can bring a lasting Emory spirit to the residence halls. Second, I want to increase RHA’s national presence. This semester, Emory RHA was chartered under the national RHA organization, NACURH. I plan to become the first RHA President to lead a delegation to NACURH conference, as well as the SAACURH regional Conference. I think it is so important for a university as prominent as Emory to be represented at these national events. SGA, CC, GSGA, RHA and BBA Council voting closes March 30 at 8 p.m.
Guide compiled by Christina Yan and designed by Madison Bober.